I read this article and found it very interesting, thought it might be something for you. The article is called Hemlines: The Future of Dublin Fashion [Week] and is located at https://www.totallydublin.ie/more/fashion/hemlines-the-future-of-dublin-fashion-week/. After a plethora of started-and-scrapped formats, does the optimal “fashion week” model lie in spotlighting creativity over commerciality? The sepia-hued heyday of 1960s Dublin, an era characterised by annual country-to-city pilgrimages to the agricultural “Spring Show”, might not suggest, say, IR£13 million worth of fashion exports. Nonetheless, as Dublin’s industrial domain was still in its infancy, the primary supplier of such staggering figures, the Irish Export Fashion Fair, launched in April 1964 to a chorus of applause, propelling the city’s nascent rag trade to unprecedented heights. The Fair’s first installment attracted almost IR£1 million in orders, propelling export revenues to IR£5 million and, by the turn of the 60s, to a IR£13 million peak. 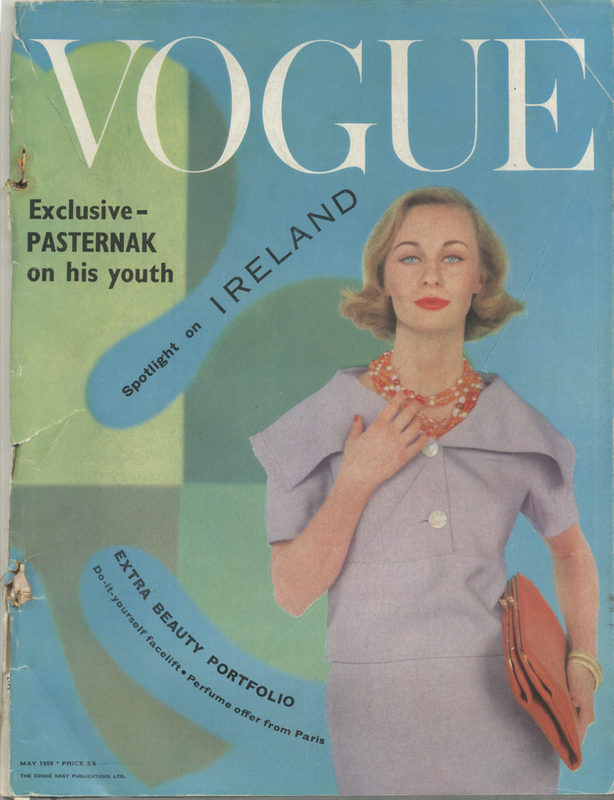 Following the expanded Fair of 1965, an Irish-centric issue of Harper’s Bazaar shot to the newsstands, its celebratory spreads echoing a Vogue issue in May 1959, whose prophetic tagline read “A Spotlight on Ireland”. International interest was thereby secured, although not cemented – and when constructive criticism subsequently arrived from native and foreign fashion commentators alike, including proposals to stage an Irish fashion fair overseas, the organisers’ inability to adapt with the times resulted in a once-bustling showcase stagnating altogether. By the late 70s, the Irish Export Fashion Fair had breathed its last, with little or no fanfare accompanying its demise. What followed was an assemblage of earnestly-produced events, stretching from the similarly-framed Futura fair to varying “Irish Fashion Week” formats which were rolled out in short-lived segments from the 80s onwards. Each new conception may have differed, if marginally, in appearance, but a thread of commonality can be traced through each one: a misplaced desire to emulate the commercial success of the European fashion capitals. Nurturing the ever-evolving ties between Irish designers and foreign fashion hubs is, without doubt, worth prioritising. When it comes to re-establishing our city’s fashion presence, however, looking beyond “the Big Four” to source inspiration is imperative. Fellow culturally rich cities that lack a conventionally recognised fashion heritage should be the first to consult, with contemporary fashion centres such as Copenhagen, Barcelona and Melbourne falling into this category. This said, there’s no question that previous Irish Fashion Weeks have steered dangerously close to being corporate events – a recurring stumbling block that could easily be overridden if a future fashion showcase, held outside of the standard “fashion months”, championed aesthetic enjoyment above all other aspects. Structural ambiguity aside, Dublin’s full-to-the-brim talent base is indisputable: “[This] is a city of innovators. Our youth has extraordinary talent and endless ambition,” says multi-disciplinary artist and designer Aoife Dunne. “Our fashion and art scene has expanded rapidly over the past ten years, which is evident with street style becoming more exciting and experimental.” Revered fashion journalist Deirdre McQuillan believes that our creative strengths are “much wider than fashion – it’s art, it’s graphics, it’s photography, it’s food.” and feels that a week of melding fashion with other complimentary creative disciplines would have a resounding effect, not to mention ensure governmental support. 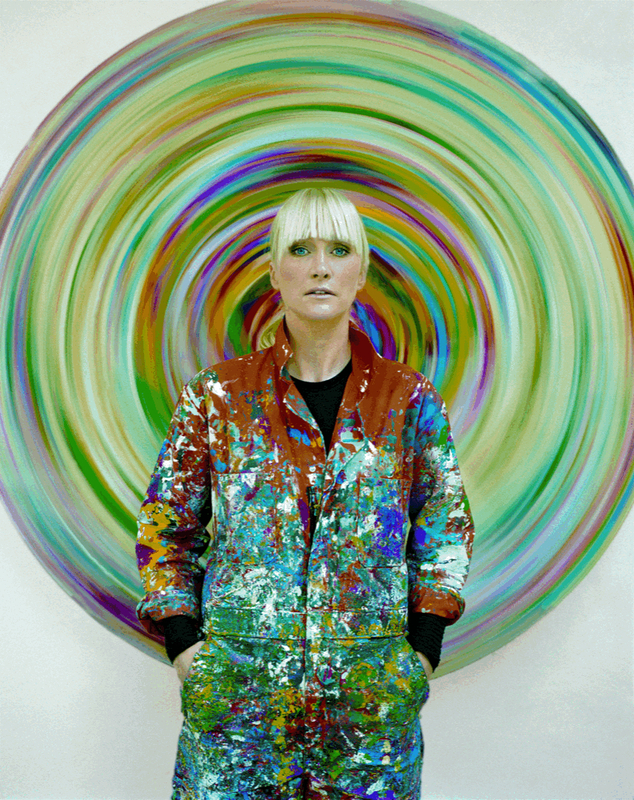 In Steele’s eyes, fashion and art go hand-in-hand – her illustrious career has colourfully blurred the boundaries between both spheres.